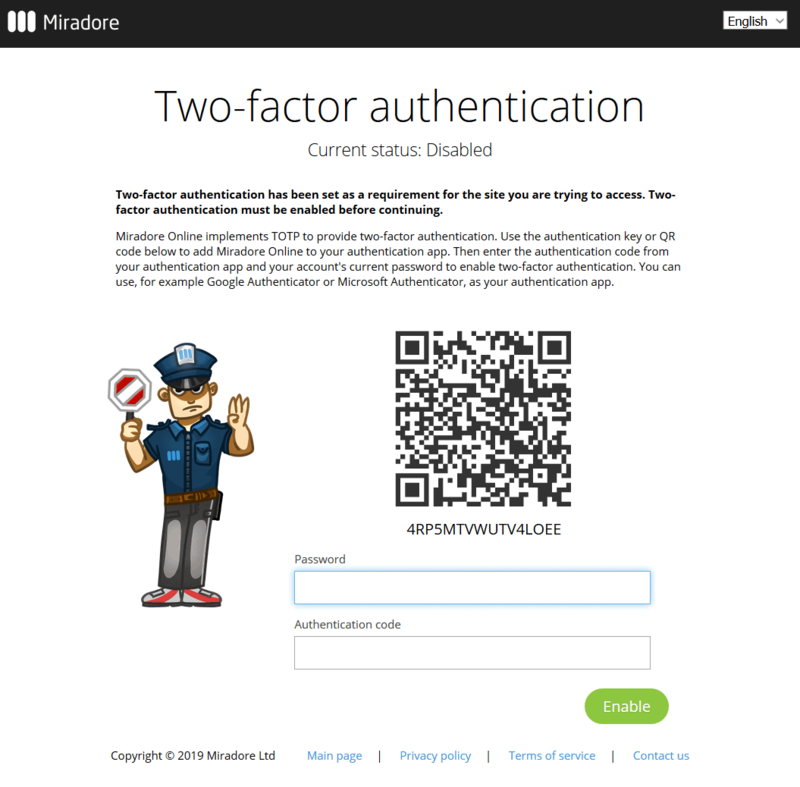 A site administrator can enforce two-factor authentication for all user accounts on a Miradore Online site. The only prerequisite is that the administrator must first enable the two-factor authentication to his/her account. After that, the administrator can enable the site-wide two-factor authentication in System > Infrastructure diagram by hovering over the site name and clicking on the Require two-factor authentication checkbox. Users will be informed about the two-factor authentication requirement when they try to log in to the site next time.